Layoff List - The American Lawyer, its sibling publications and other media organizations present ongoing coverage of law firm layoffs and related news. Lorman Education Services - Browse, search seminars. 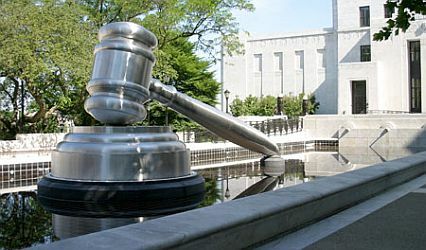 My Paralegal Degree - Online directory of paralegal education and careers. National Association of Legal Assistants (NALA) - A leading professional association for legal assistants and paralegals, providing continuing education and professional development programs. Also see About Paralegals. National Federation of Paralegal Associations (NFPA) - Promotes a global presence for the paralegal profession and leadership in the legal community. As defined by the NPFA, a paralegal is a person, qualified through education, training or work experience to perform substantive legal work that requires knowledge of legal concepts and is customarily, but not exclusively, performed by a lawyer. This person may be retained or employed by a lawyer, law office, governmental agency or other entity or may be authorized by administrative, statutory or court authority to perform this work. Substantive shall mean work requiring recognition, evaluation, organization, analysis, and communication of relevant facts and legal concepts. Paralegal and Legal Assistants - U.S. Department of Labor BLS Occupational Outlook Handbook information. Peggy Browning Fund - Provides law students with diverse, challenging work and educational experiences in the area of workers' rights. Since 1997, The Peggy Browning Fund has been recruiting and placing progressive law students in summer law clerk positions. The positions have been with the legal departments of Labor Unions, the National Labor Relations Board and non-profit organizations which provide legal assistance to workers. Public Service Law Network (PSLawNet) - Online clearinghouse for law students and lawyers to connect with public interest opportunities and information on public interest careers. Social Networks for Law Librarians and Law Libraries - LLRX.com article by Meg Kribble and Debbie Ginsberg, published on January 19, 2008. Temporary Attorney: The Sweatshop Edition - Temp life at some of America's most notorious legal sweatshops. This webpage last updated on Thursday, April 6, 2017 2:12 PM.